Coconut Oil – It does a body good. 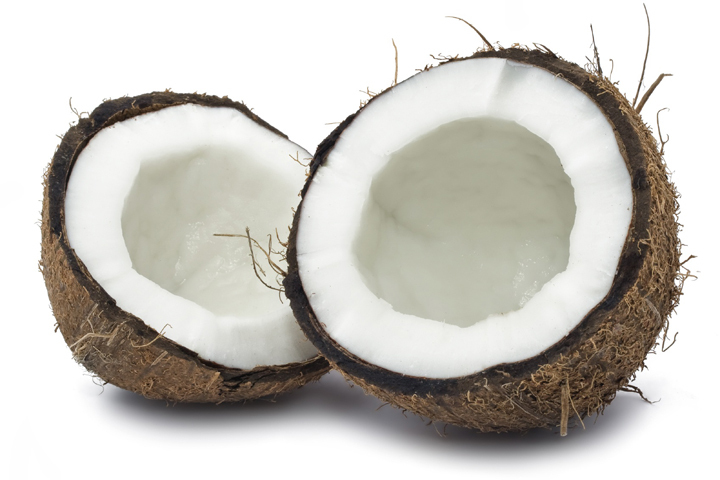 For many years, consumers have been told to avoid coconut fat because it is a saturated fat and therefore bad for you. It is indeed a saturated fat (92%), but if you look at the composition of its fat, it might surprise you to learn that coconut fat actually has beneficial properties that contribute to health and well being. Two thirds of coconut fats are medium chain fatty acids, which are easier to digest. They are loaded with antioxidants and readily converted into an energy source utilized by our body and brain. Lauric acid is one of the medium chain fatty acids in coconut fat that is very important to overall health, not only because it is a rich source of antioxidants and fat-soluble vitamins, but it also has anti-microbial, anti- fungal and anti-viral properties that aid our digestive system and strengthen our immune system. These fatty acids have also been shown to improve metabolism, support proper thyroid function, and even play a role in restoring and improving memory. Mary Enig Ph.D., a lipid biochemist and nutritionist working with the Weston Price Foundation has done extensive research on saturated fats including tropical oils such as coconut. Their research is liberating saturated fats such as coconut oil from the “bad” list by explaining how fats work in our bodies and their role as part of a healthy whole foods natural diet. Saturated fats are very stable and not prone to oxidation or rancidity. They play a key role in maintaining cell integrity, enhancing the immune system, protecting the liver from various toxins, and are a source of the fat soluble vitamins, A, D, E and K.
The Weston Price Foundation has done extensive research on tropical native populations, in particular their diets and use of tropical oils including coconut oil. In essence, these cultures have been using these oils for thousands of years without adverse health effects such as obesity, heart disease, or diabetes. They were in fact quite healthy until the introduction of “western foods” that were highly refined, sweetened, processed, and full of hydrogenated oils. It was after the introduction of these foods that these once-healthy populations started to develop heart disease and diabetes so prevalent here in our part of the world. So perhaps we could take a cue from these native populations and refrain from isolating a food component as being good or bad. Instead, we could look at how whole foods make up a healthy diet, of which fats – including saturated fats – are an integral part. At Oryana we have some great coconut oils, which are organic, unrefined, extra virgin oils, meaning they have been expeller pressed at low temperatures preserving the healthy properties within the oil. Coconut oils are solid at room temperature and shelf stable for at least 2 years. Coconut oils are aromatic and rich in flavor, providing that exotic touch of the tropics to many dishes, leaving you with satiety that comes from great food that satisfies and nourishes. Try a little coconut oil tonight in this delicious easy sauté. In a large sauté pan heat 2 tablespoons coconut oil over medium heat and stir-fry the chicken until it is cooked, about 5 minutes. Remove to a bowl and cover to keep warm. Heat the remaining 2 tablespoons coconut oil in the same pan and sauté the onions until soft, about 5 minutes. Add the red pepper, bok choy and ginger and cook for several more minutes. Add the garlic and sauté for 30 seconds more. Dissolve the curry paste in a few tablespoons of chicken stock and add to the sauté pan with the rest of the stock, coconut milk, and fish sauce. Add the chicken and heat through. Serve with brown rice.